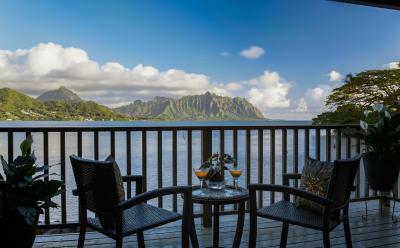 Lock in a great price for Paradise Bay Resort - rated 8.4 by recent guests. The breakfast was great and had a beautiful view! We took the kayaks out into the bay and hung out with seas turtles on the reef! 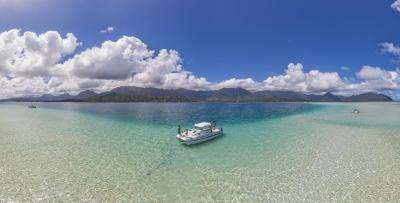 I wish we could have done the boat trip to the sand bar but we weren’t there on any of the days the excursion went. Very comfy,very spacious, amazing bed and pillows. I feel lucky to have Kaipo checked us in and to have met him. The dinner entertainment, Kimo (?) Was a highlight of our stay. 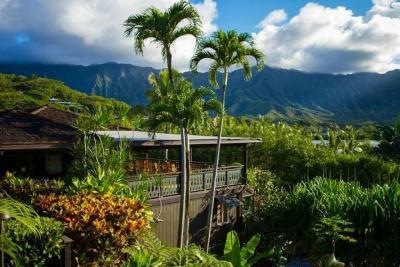 The cats are friendly and the numerous birds songs we heard while sitting out on our Lanai watching the clouds float over the majestic mountain ridges was a once in a lifetime experience. Kayaking was fun and some people who went out saw turtles. staff was decent. gym was pretty good for a hotel of this level. was given recommendations of there to eat out in the area. Beatiful views, beach gear to rent, list of restaurants / places to visit on arrival, good breakfast, coin laundry available, helpful and friendly staff. Location directly at the water is great. Suites are spacious. Without car the location might be too far out. A pearl! Paradise incorporated. 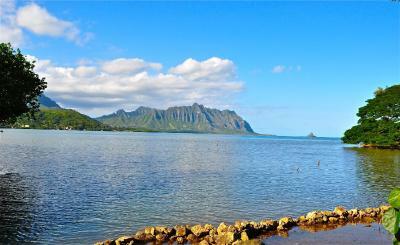 Away from the hectic Waikiki but close to everything one needs. Car is a clear advantage as lunch is not served at the resort. The place is amazing!! The nature, the surroundings & the peace you feel when you are there. House a beautiful decorated and really clean. Breakfast is fine with everything you need + there are some activities like yoga/kayak/fitness if you decide to stay in the hotel. The people was really helpful too. When we arrived, we were surprised to find out that we had been upgraded to the penthouse room and it was absolutely amazing! Friendly kind helpful caring staff. Geeat floating decks. Abundance of cats and chickens. Great location. Good activities. We loved the rain, too!!! 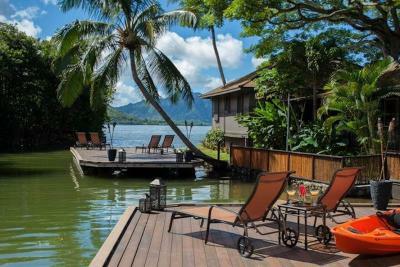 Located on Kaneohe Bay, the Paradise Bay Resort offers views of the Koolau Mountain Range an outdoor pool, and a hot tub. A complimentary daily deluxe breakfast is offered. Each room and suite is furnished with a flat-screen TV with cable channels, seating area and an electronics docking station. All accommodations have a kitchen or kitchenette that includes a refrigerator, a microwave, a coffee machine, and kitchenware. Suites have a private lanai patio. Free yoga and meditation classes are offered. A floating sun lounge is featured, as well as barbecue facilities are available to guests. 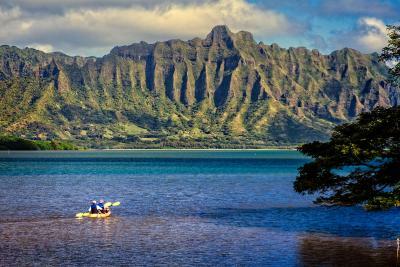 Free WiFi, kayak rentals, and snorkel equipment are included in the resort fee. Guest laundry services are also available. 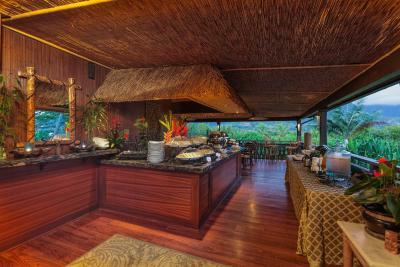 An Aloha Nights Buffet Dinner is offered on Monday and Wednesday. 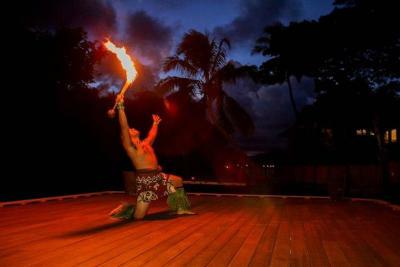 Other activities include Pau Hana Friday's Dinner & Fireknife Show, a Saturday Sandbar Boat Excursion & Reef Snorkel Adventure, a Fire Dance Show, private boat charters, guided eco-tours and on call spa services. 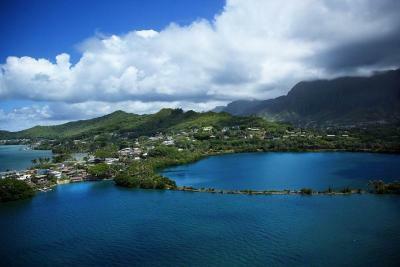 The largest barrier reef in the Hawaiian archipelago is located off Kaneohe Bay. 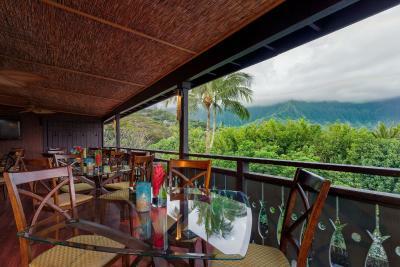 Kaneohe city centre is 6 miles away and Kualoa Ranch is 4 miles away. 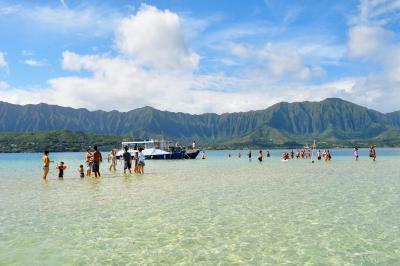 Kailua Beach Park is 12 miles and Honolulu International Airport is 18 miles away from Paradise Bay Resort. 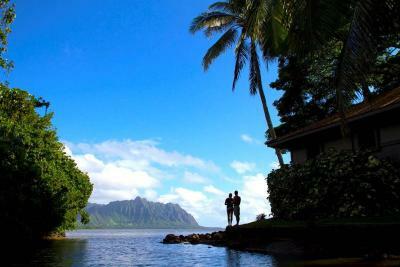 Hawaii Pacific University - Windward Campus is 15 minutes' drive away. 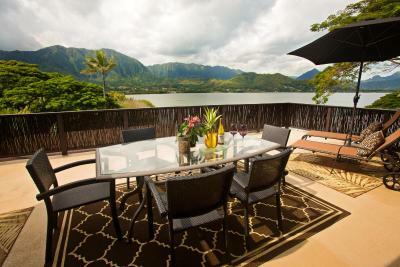 This property also has one of the best-rated locations in Kaneohe! Guests are happier about it compared to other properties in the area. 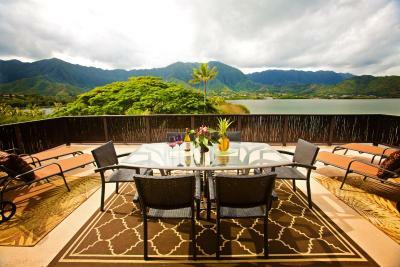 This property is also rated for the best value in Kaneohe! Guests are getting more for their money when compared to other properties in this city. 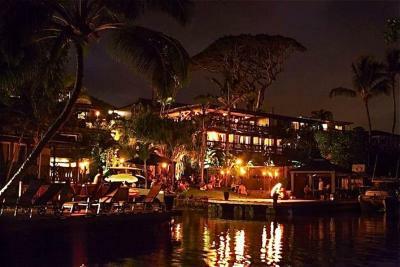 Paradise Bay Resort has been welcoming Booking.com guests since 17 Jan 2011. 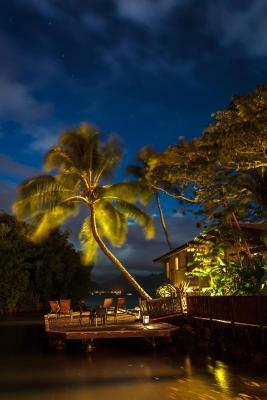 When would you like to stay at Paradise Bay Resort? 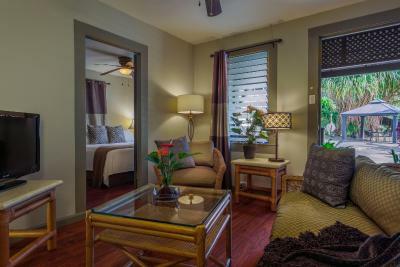 This suite is furnished with a private lanai patio, flat-screen cable TV, seating area and an iPod docking station. All accommodations have a kitchen or kitchenette that includes a microwave, coffee maker and kitchenware. Maximum occupancy per accommodation is 2 people, which includes children. 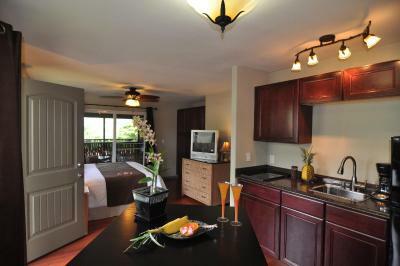 This suite is furnished with a flat-screen cable TV, seating area and an iPod docking station. All accommodations have a kitchen or kitchenette that includes a microwave, coffee maker and kitchenware. Maximum occupancy per accommodation is 4 people, which includes children. 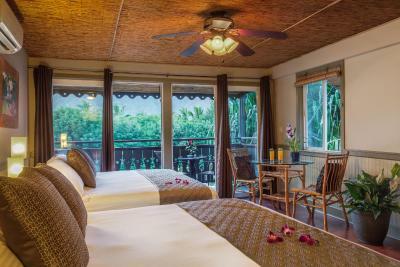 This room is furnished with a flat-screen cable TV, seating area and an iPod docking station. All accommodations have a kitchen or kitchenette that includes a microwave, coffee maker and kitchenware. 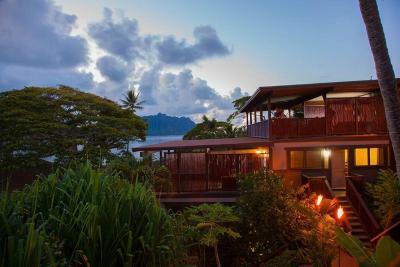 Featuring views of the Ko'olau mountain range, this studio provides a flat-screen cable TV, a seating area and an iPod docking station. The kitchenette includes a microwave, a coffee machine and kitchenware. 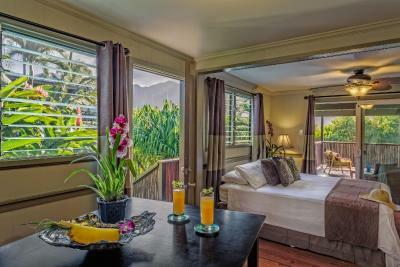 This suite features mountain, ocean, or garden views and is furnished with a private lanai patio, flat-screen cable TV, seating area and an iPod docking station. All accommodations have a kitchen or kitchenette that includes a microwave, coffee maker and kitchenware. 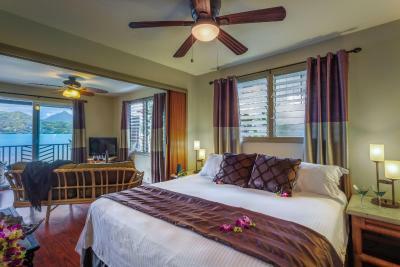 This suite features views of Kanehoe Bay and the Pacific Ocean, and is furnished with a private patio, flat-screen cable TV, sitting area and an iPod docking station. 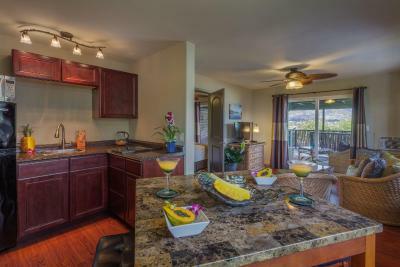 All accommodations have a kitchen or kitchenette that includes a microwave, coffee maker and kitchenware. 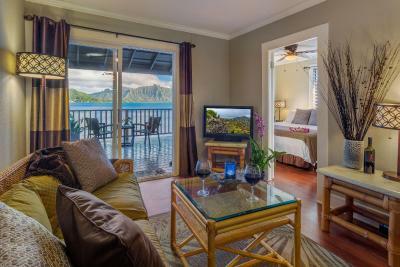 Featuring views of Ko'olau mountain range, this studio provides a flat-screen cable TV, a seating area and an iPod docking station. The kitchenette includes a microwave, a coffee machine and kitchenware. 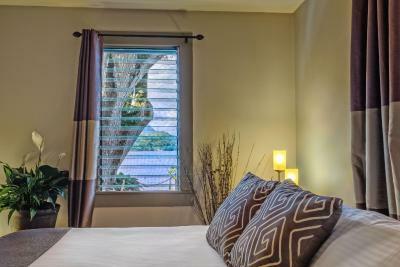 Featuring views of Kanehoe Bay and ocean, this studio provides a flat-screen cable TV, a seating area and an iPod docking station. The kitchenette includes a microwave, a coffee machine and kitchenware. 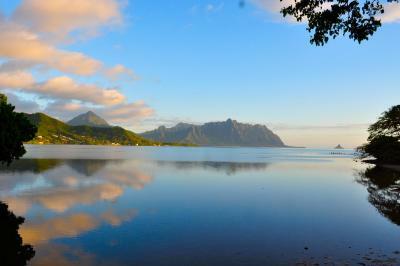 The location of Paradise Bay Resort and the surrounding beauty is legendary. Preserving, protecting and enhancing that beauty is a primary element for us. We believe it is our Kuleana to learn and share the history of this place, take care of its resources and preserve its cultural story. 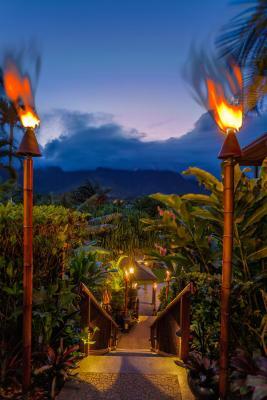 We have carefully restored the property in a way that compliments the natural beauty of this special place. Paradise Bay Resort is located in the most beautiful natural and tropical setting on Oahu. 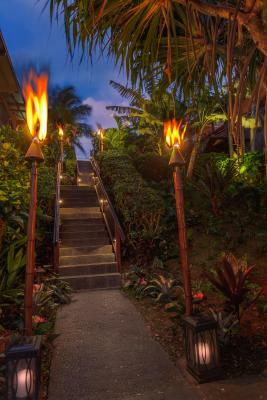 House rules Paradise Bay Resort takes special requests - add in the next step! Paradise Bay Resort accepts these cards and reserves the right to temporarily hold an amount prior to arrival. Daily breakfast is based on 2 guests. 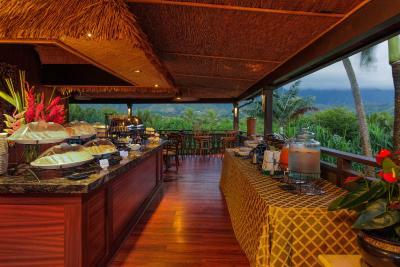 Additional breakfast is available for purchase at property. 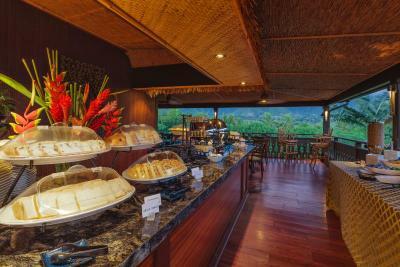 If paying the resort fee breakfast will be served according to the number of guests. There is a per day fee for pets. Property only permit pets under 70 pounds and a maximum of 2 pets are allowed per room. Please contact Paradise Bay Resort for further information. 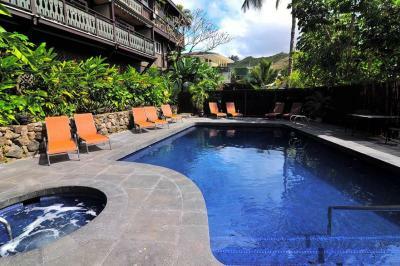 Accommodation in Hawaii is expensive (especially as our exchange rate is not the best for travelling to the USA right now). However this was a lovely location, quiet, relaxing and great staff!!! It would have been nice to have some T-Shirts,coffee cups,postcards,etc to remember our trip. Will always remember it but taking something physical from there would have made me smile every time I looked at it. The resort was excellent. Peace and quiet was what I was looking for. The staff was wonderful,excellent,helpful and was family. One I hope to be able to visit again. I miss them and so does Casey. The dinners were great and the music was so wonderful. I loved the gentleman who played on Friday then on Monday. He played the traditional ones that told stories. Plus I loved him talking about granddaughter and his family. I’ll be waiting for the CD to come out. The boat ride was great. My husband loved going snorkeling and Casey loved the sandbar. Hated to leave. Wish we could have more time there. Sad to leave. Location! It wasn't where I expected. Growing up on Oahu and only passing through this scenic route I've never in my whole life turned into this road. All this time a secret treasure of a place was here. The atmosphere was totally as if on another island. The staff was local, friendly and absolutely superb! Our room was very comfortable, cool, clean and a look forward to at the end of the day. 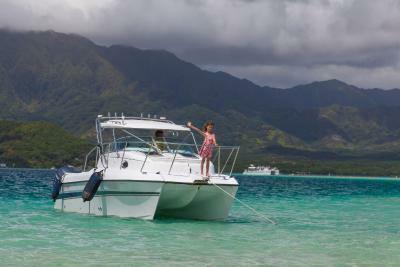 The boat tour was adventurous, super fun and a memorable time in our life we'll never forget. The pool was lovely and refreshing. The deck area, so therapeutic, relaxing and rejuvenating. 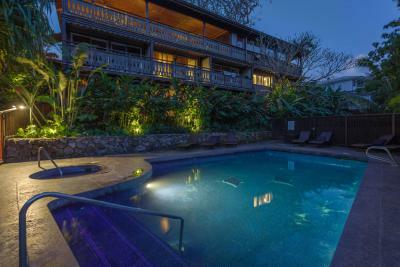 This hideaway provides the kind of local experience a true visitor or resident desires. It is far from the tourism business and will definitely provide the unforgettable, never wanting to leave experience! Staff were quite rude when questioned about the booking. We were travelling with friends, they were given the wrong room and told they were upgraded. The room was not an upgrade. Both parties paid for a garden view, one bedroom suite. We were told they didn't have garden view suites. Booking.com's description said 'garden room', when we showed our bookings to the receptionist, she got quite annoyed and said it had nothing to do with her. It just made for a very unpleasant time. Breakfast was ok although it was vegetarian, we were not aware of this at the time of booking. The boat trip on the lagoon was great. The dinner was very nice. Location. If u don't have a car u have nothing to do there. Also soundproof is an issue. I felt like other couple was in room with me. Not being able to have friends join us for dinner. It was an amazing staycation. Love the property. Would like to have had guests join for Friday dinner but understand. Very quaint and food was great. Beautiful property, friendly staff, well taken care of. Lovely birds sing you to sleep! The following is more about what I would have asked before or small things. 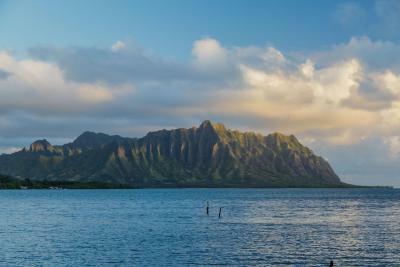 The location is great if you stay there, we had to drive an hour to get to what we wanted to do, hikes, pali lookout and Whole Foods. The rooms are older and somethings need to be replaced or repaired. Very small cosmetic things. I didn't know the schedule of the yoga, dinners and boat tours until after booking. I assumed there would be more yoga. When we took the kayaks out they didn't give us any info of where to stay away from or where to go. Sofa could have been a little more comfortable, but there are so many nice places to sit outside at this property. Beds were great! Great view from the floating deck and the lounge area. Nice pool. Loved the fresh orchids on our beds! 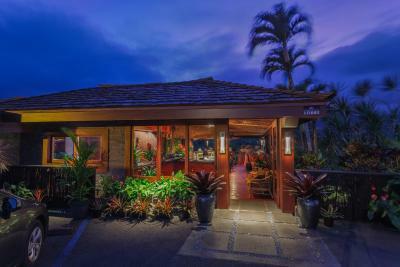 It would be nice to have a bar open (or even beer /wine fridge available) in the evening - the resort is nicely lit in the evening, so one could really enjoy a drink in the restaurant or on a deck. Just a suggestion. 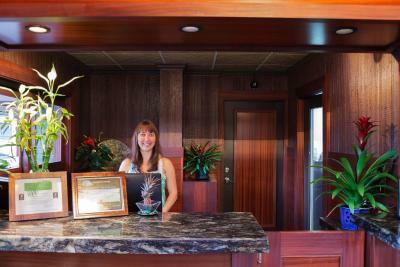 The best part of our stay was the friendly staff. We love the workers at Paradise Bay and will definitely be back. 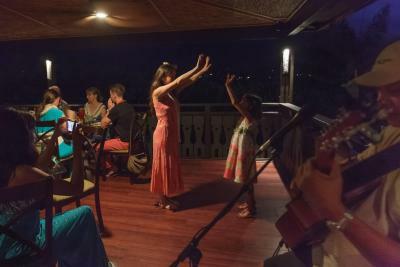 They offer a buffet dinner and live music but unfortunately it is only some days a week and we couldn't enjoy it. The breakfast was simple but good. 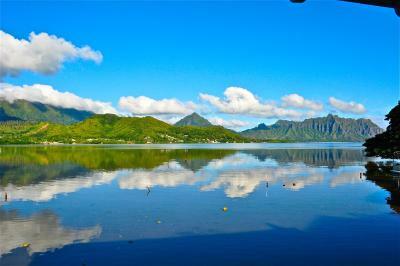 Great place, definitely returning there if we come back to Oahu. 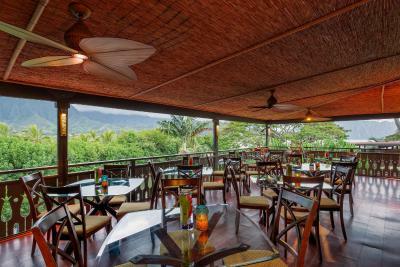 It is in the middle of a residential neighborhood, so there is not much around, which makes it the perfect peaceful resort. We took a complimentary morning yoga session under the sun looking at the ocean. 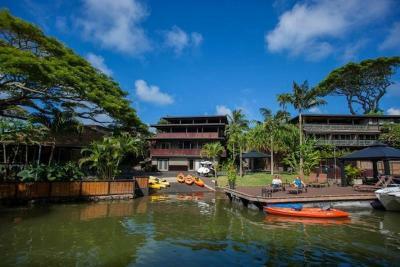 They have paddle board and kayaks for guests to use. 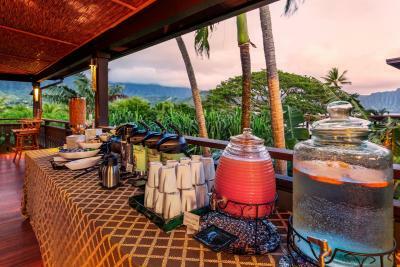 Having breakfast while looking at the Hawaiian mountains was great. It’s so peaceful and BEAUTIFUL!! !